Carrying a mobile device with a big screen is great, but it’s not always very convenient, particularly if it’s a full-size tablet. What we really need is a tablet that folds down into something smaller, so it’s more easily pocketed. 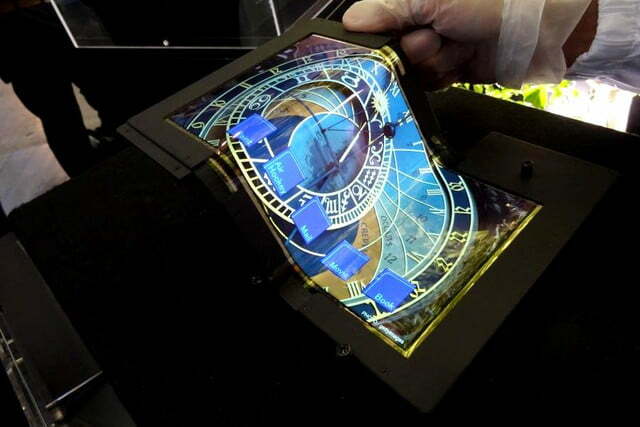 This may sound like a sci-fi fan’s dream, but the future is almost here; an example of a flexible, folding tablet display has been demonstrated at a tech show in Japan. Cleverly, it doesn’t just fold in half, but into thirds, quickly turning it from a tablet into a smartphone-sized device. The tech is the work of the Semiconductor Energy Laboratory, better known as SEL Co. Ltd, a firm with a long history of creating flexible components – from solar panels to RF circuits. 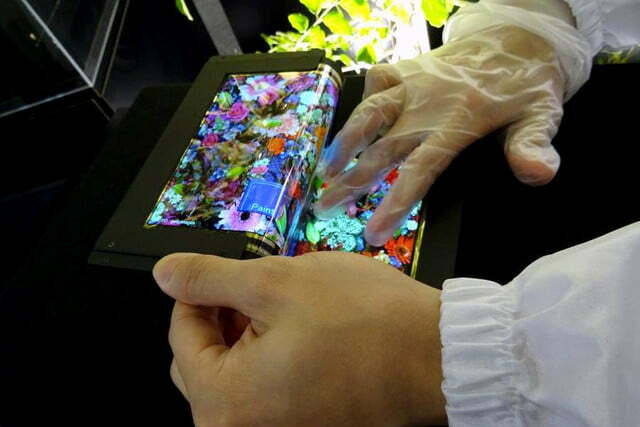 Its new screen measures 8.7-inches, and has a 1080p resolution, giving a 254ppi pixel density. It has two folding points, meaning it can effectively become a third of its original size when folded down. This isn’t done using a hinge, but a bendy, all-in-one OLED touchscreen, which has proven strong enough to withstand at least 100,000 folds. That’s enough to bend it twice a day, for the next 137 years, so durability shouldn’t be a worry. 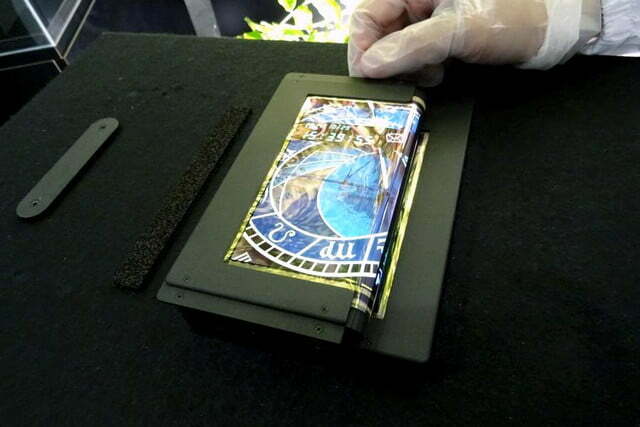 SEL has developed bendable touch screens before, but this is its largest yet. Take a look at the video to see the display in action, where the touch feature is shown working even when the screen is slightly bent. Also, pay attention to the screen’s bend point as it’s folded down, where a Galaxy Note Edge-style notification strip appears. 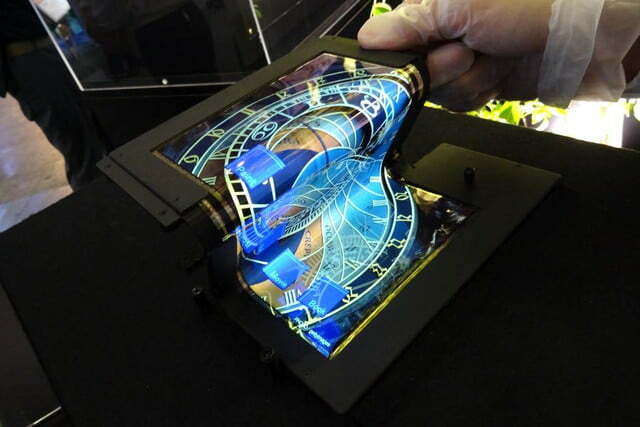 Despite continued development of other bendy components, such as batteries, which are essential to making a truly flexible device, there’s still no information on when this type of screen will make it onto a tablet we can actually buy.